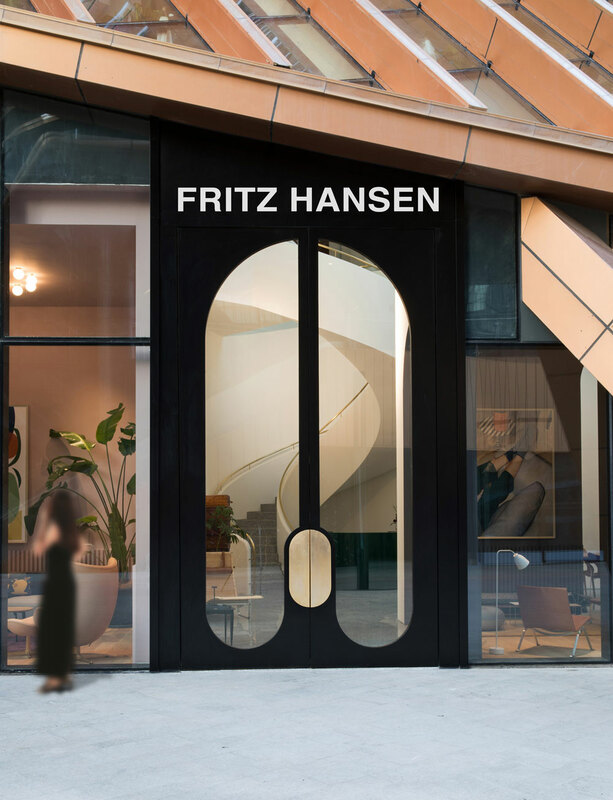 Iconic design company Fritz Hansen, who manufactures well-known furniture such as the famous Egg™ and Swan™ chairs, among others, recently opened its first store in Xi’an, China. 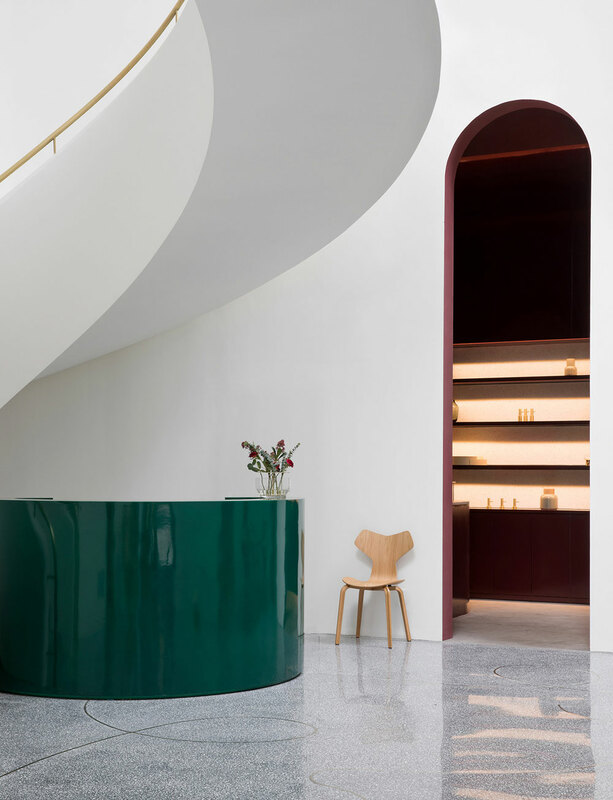 The showroom is designed by Jaime Hayon and is the brand’s biggest store yet, boasting over 1000 square meters. As you step inside, you are welcomed by a glossy green reception desk and sweeping staircase. 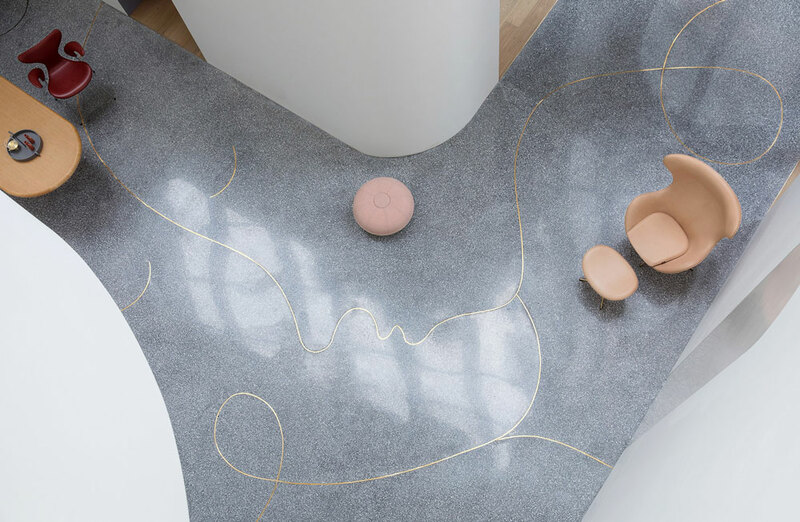 Notice the brass line in the terrazzo floor which, when seen from above, shows a modernist-inspired face. The place is filled with such beautiful details! 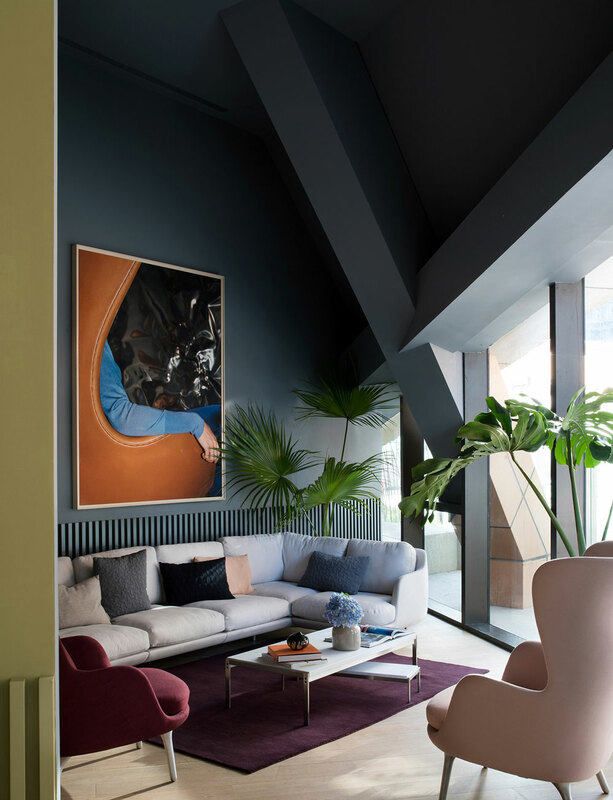 You’ll find high ceilings, vaulted walkways (note: I’m seeing more and more of those – Is it the next big trend? 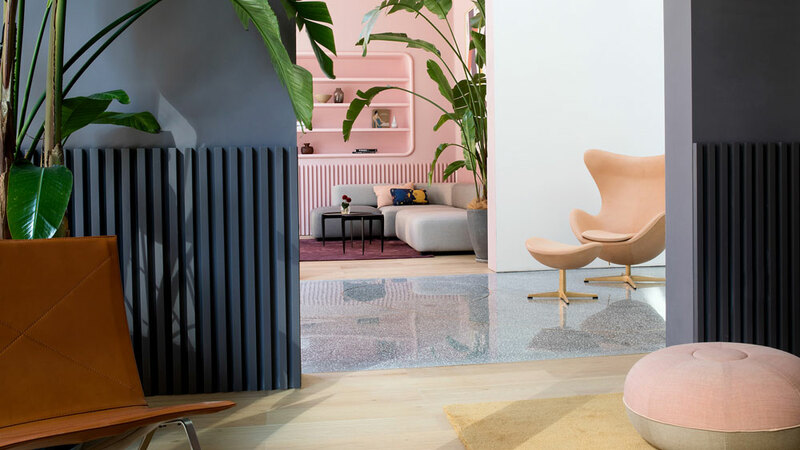 ), a gorgeous mix of colors like sage green, rose pink, plum purple, and slate blue… The brand’s products are arranged living room-style set-ups, with some art, carpeting, leafy plants and small objects, to make visiting customers feel at home – And inspired, too! 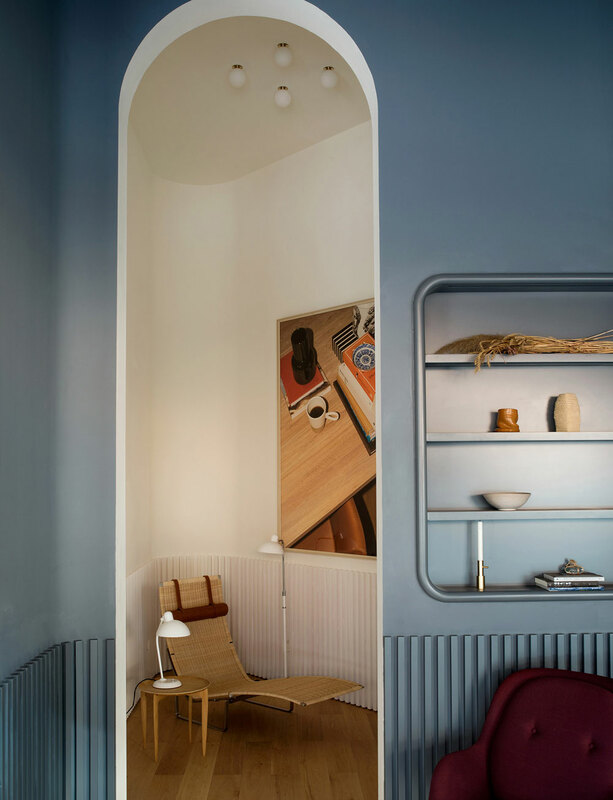 You can peek inside Fritz Hansen’s Copenhagen store here – A different look, yet very beautiful.